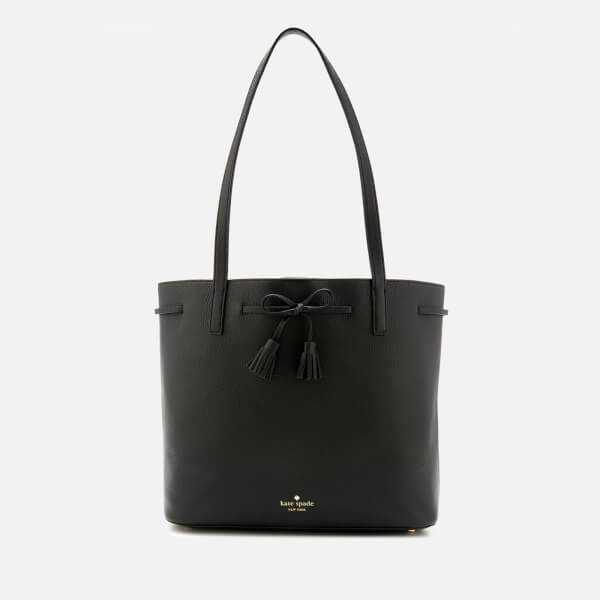 Women’s large, leather tote bag from Kate Spade New York. 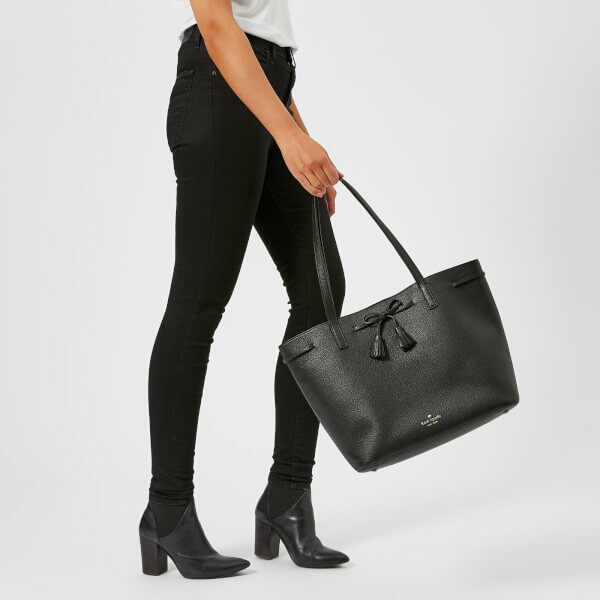 Realised in luxe pebbled leather with matching handles, the ‘Nandy’ shoulder bag boasts classic tote features with a roomy internal and zip pocket, secured with a magnetic popper tab. 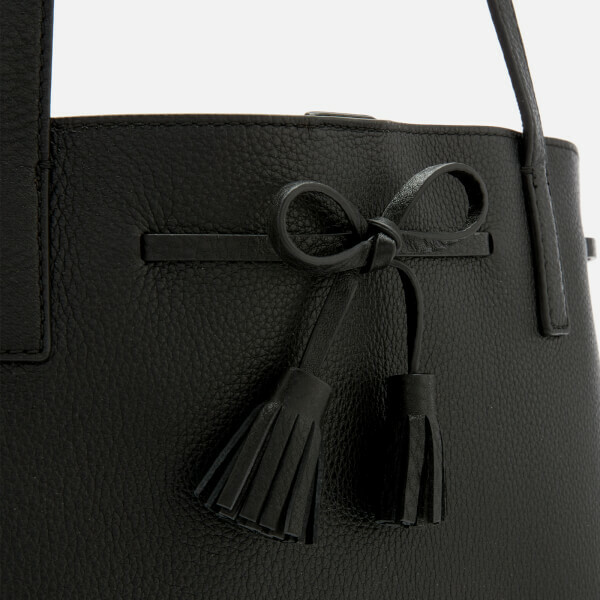 Adorned with a tasselled bow embellishment, the bag is complete with protective metal feet at the base and gold foil branding. Dimensions: H: 28cm x W: 32cm x D: 15cm. Handle Drop: 26cm. This bag is an absolutely brilliant. It's very light for the size. 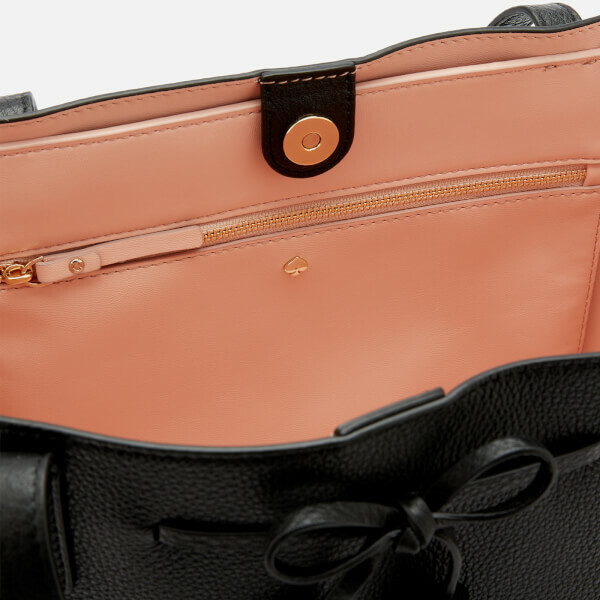 Has one big and spacious compartment which is great for everyday use and to pick up a shopping on the way home. This bag exceeded my expectations.